Financial market bubbles are recurring, often painful, reminders of the costs and benefits of capitalism. While many books have studied financial manias and crises, most fail to compare times of turmoil with times of stability. 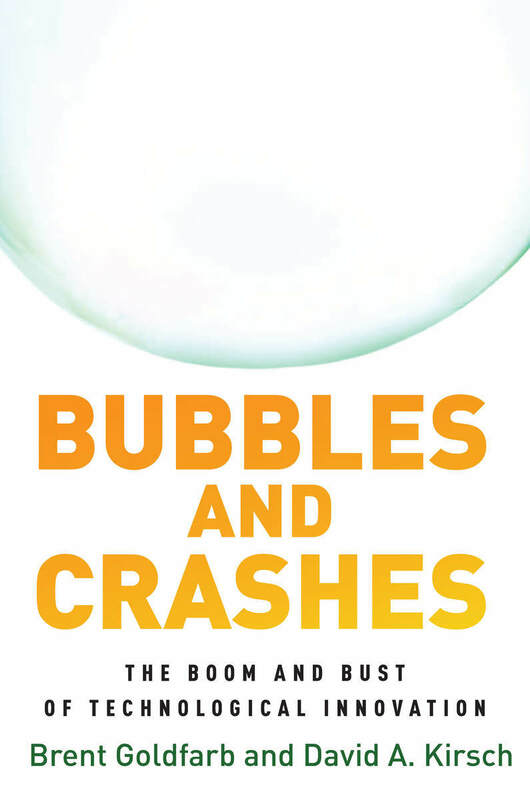 In Bubbles and Crashes, Brent Goldfarb and David A. Kirsch give us new insights into the causes of speculative booms and busts. They identify a class of assets—major technological innovations—that can, but does not necessarily, produce bubbles. This methodological twist is essential: Only by comparing similar events that sometimes lead to booms and busts can we ascertain the root causes of bubbles. Using a sample of eighty-eight technologies spanning 150 years, Goldfarb and Kirsch find that four factors play a key role in these episodes: the degree of uncertainty surrounding a particular innovation, the attentive presence of novice investors, the opportunity to directly invest in companies that specialize in the technology, and whether or not a technology is a good protagonist in a narrative. Goldfarb and Kirsch consider the implications of their analysis for technology bubbles that may be in the works today, offer tools for investors to identify whether a bubble is happening, and propose policy measures that may mitigate the risks associated with future speculative episodes. Brent Goldfarb is Associate Professor of Strategy and Entrepreneurship and the Academic Director at the Dingman Center for Entrepreneurship at the University of Maryland’s Robert H. Smith School of Business. David A. Kirsch is Associate Professor of Strategy and Entrepreneurship at the University of Maryland’s Robert H. Smith School of Business.